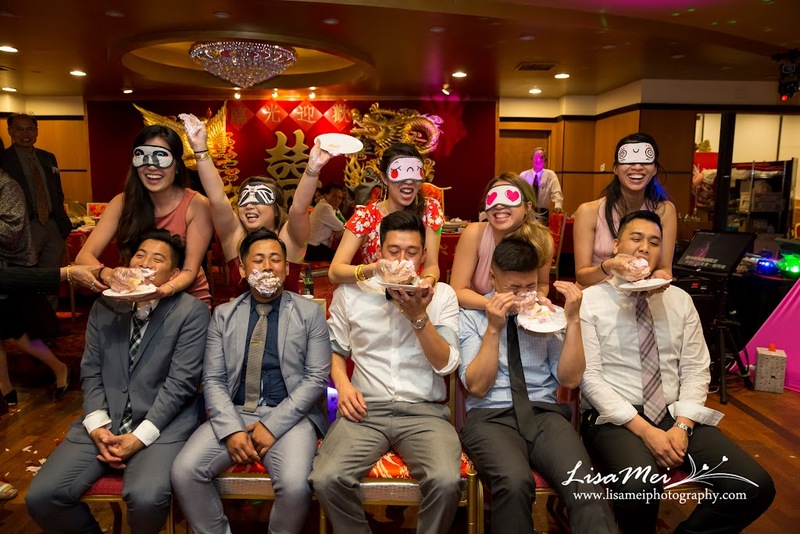 2nd day of joy with Jenny, Jimmy, and their bridal party! 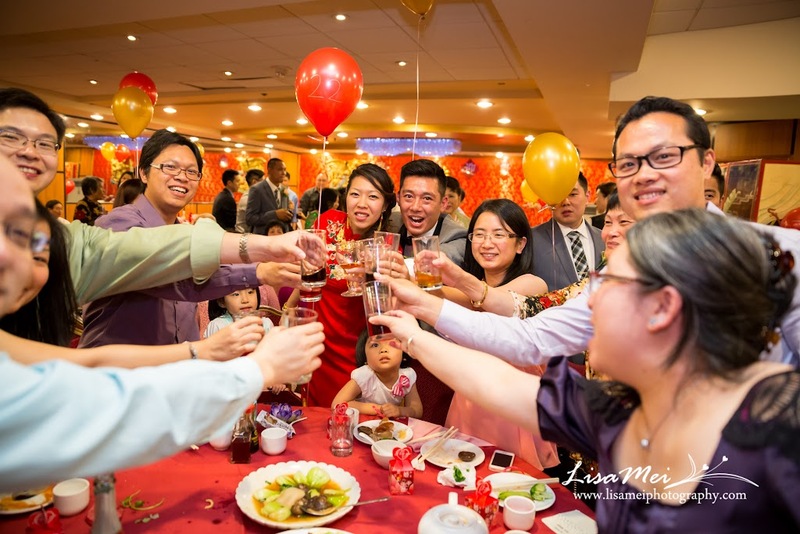 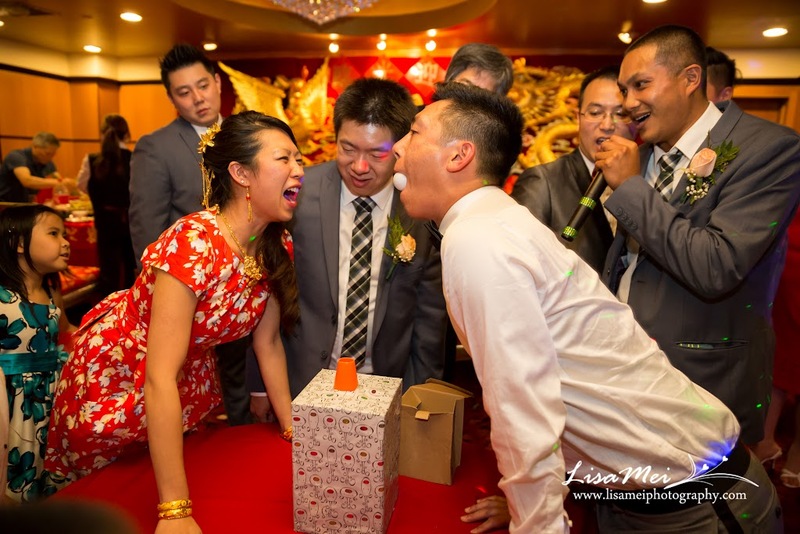 This time, a traditional Chinese reception at Hei La Moon. 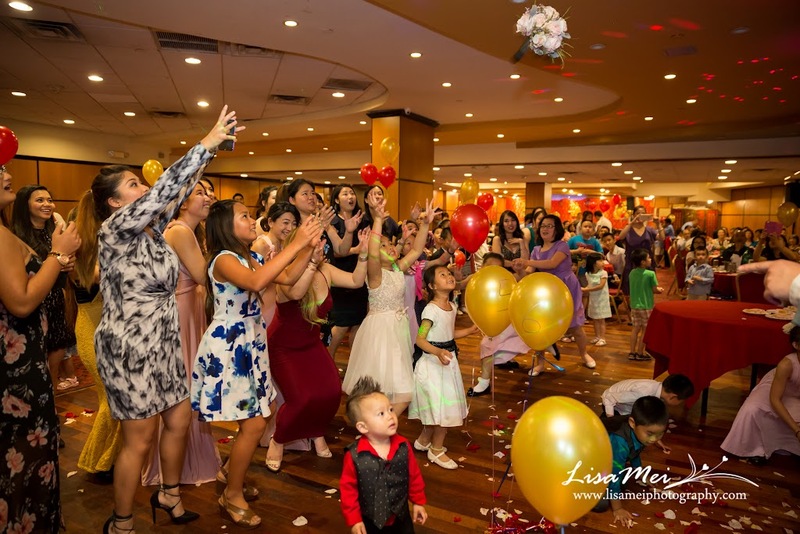 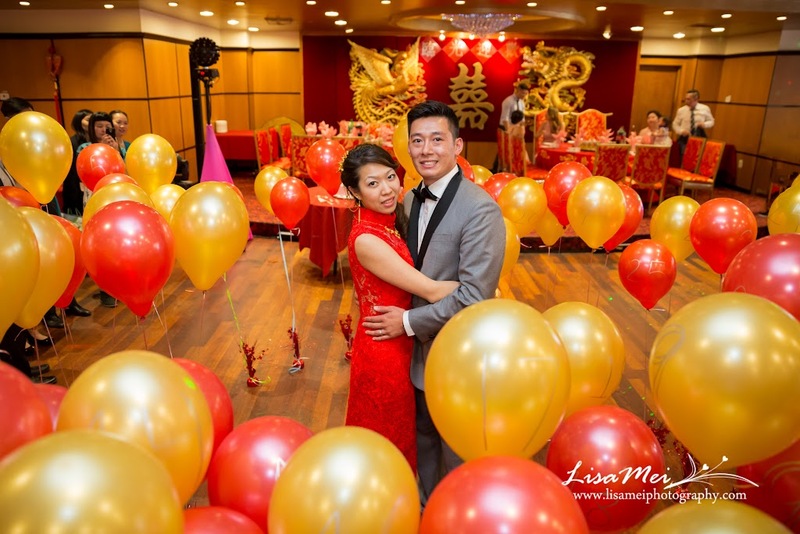 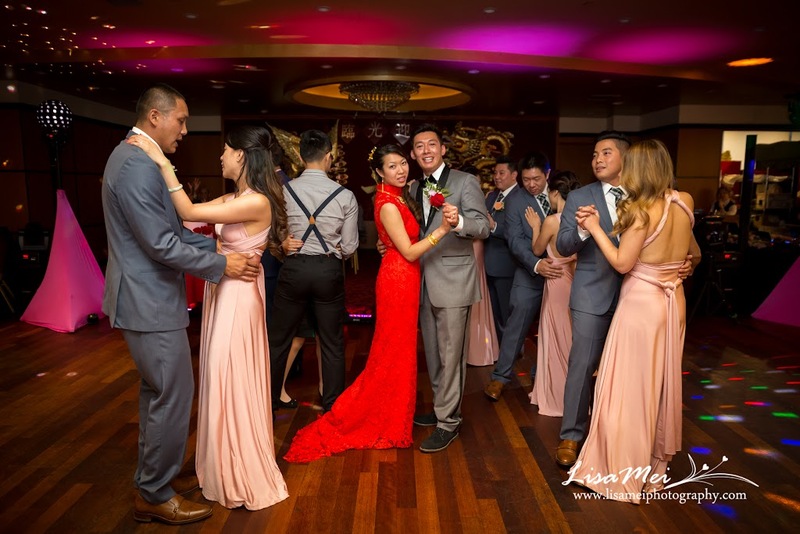 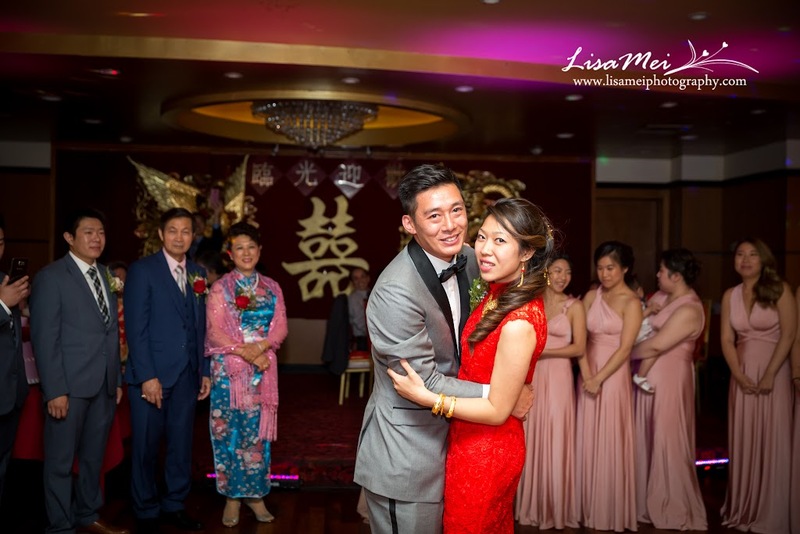 Jenny wore a beautiful red Chinese evening gown accessorized by the family’s wedding gifts – gold necklaces and bracelets, she looked amazing again. 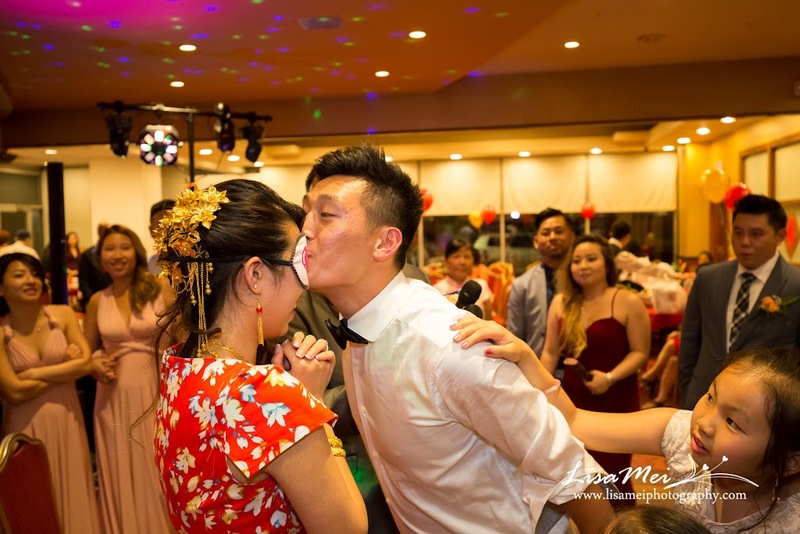 The night filled with crazy games and dances!